and Tax ID: G-95326583, is registered in the Foundations Register of the Basque Government and owns the domain www.bizkaiatalent.eus and www.bebasquetalentnetwork.eus, which is duly registered in the aforesaid Register, in compliance with what is established in Act 34/2002, of 11 July. The intellectual property rights of the website, as well as its various contents, are owned by bizkaia:talent. Any alteration of this page is strictly prohibited. Bizkaia:talent shall not assume any liability derived from any unauthorized manipulation or alteration. Bizkaia:talent does not grant licences or authorizations of any kind to use their industrial or intellectual property rights or any other property or right related to the website, the services or the contents. The total or partial reproduction of the contents of this website without mentioning the origin or requesting an express authorization to that end is forbidden. Any unauthorized use of the information contained in this website or any damage caused to bizkaia:talent’s industrial and intellectual property rights will result in the appropriate actions being taken and, where appropriate, whatever liabilities may derive from such actions. This website has been created by bizkaia:talent for informational purposes and its use will be personal and free of charge. Lawful use. The user of this website and its services undertakes to use them in accordance with the law and practice and shall refrain from using the website and the services for any purposes or effects which may be unlawful or detrimental to the rights and interests of any third parties or which may in any other way damage, disable, overload or impair the website and the services or prevent the normal use of the website and the services by the users. Those who fail to comply with this obligation will be accountable to bizkaia:talent and to any third parties for any damages which they may cause as a result of their failure to comply with the aforementioned obligation. Accuracy guarantee. bizkaia:talent does not guarantee the non-existence of errors in the access to the website or its contents; whenever any official publications are quoted or reproduced, this reproduction will be merely for informational purposes and it is the publication in the appropriate official gazette or source which must be considered to be valid to all intents and purposes. Availability of the service. bizkaia:talent reserves the right to modify and update, at any time and without prior notice, the information contained in the website or its configuration or presentation. Bizkaia:talent does not guarantee the availability and the continued operation of the website and the services. Whenever it is reasonably possible, the interruptions in the operation of the website and the services will be notified in advance. Bizkaia:talent excludes any liability for any damages of any kind which may be due to the lack of availability or continuity in the operation of the website and the services, any disappointment in the use that users may have attributed to the website and services, the fallibility of the website and the services and, particularly but not exclusively, the failure in the access to the various web pages or those pages from which the services are rendered. Users are aware and voluntarily accept that they are using the website, the services and the contents under their sole and exclusive responsibility. Both the access to the website as well as the use which may be made of the information contained therein are the exclusive responsibility of those who do so. Bizkaia:talent shall not be accountable for any consequence, damage or detriment which may derive from the aforesaid access or use of information or from their application to support any personal or business opinion or decision. Bizkaia:talent does not assume any liability derived from any linked third party sites or the contents of any third party links that the website may provide. “In compliance with the regulations in force on data protection, you are hereby informed that the personal data collected through registration shall be included in the programmes, projects and events file kept by the Association Bizkaia:talent. The collected data are necessary to manage the programmes, projects and events within the corporate purpose of the Association Bizkaia:talent. In the cases in which, to access any of BIZKAIA:TALENT’s pages or services, it is necessary to provide some personal information, you are hereby informed that it will be treated in accordance with what is established in the regulations in force on Personal Data Protection and any other implementing regulations. The user is aware and voluntarily authorizes BIZKAIA:TALENT to transfer part or all the personal data provided by the user to third parties, in accordance with what is established in the regulations in force on Personal Data Protection and any other implementing regulations. The information provided will be included in an automated personal data file which has been duly registered in the General Personal Data Protection Register. BIZKAIA:TALENT complies with the legislation in force on data protection and has adopted the administrative and technical procedures which are necessary to guarantee the security of the personal data which may be gathered. The personal details of persons applying for and interested in employment offers shall be used to manage the applications they make. Thus, CV details may be visible to companies interested in specific profiles. Moreover, the geographical location of the applicant shall be visible to third parties, provided the user enables the visibility to third party users option of Bizkaia:talent’s platform, in the forum of the website and various social and networking media of bizkaia:talent’s website service and platform. 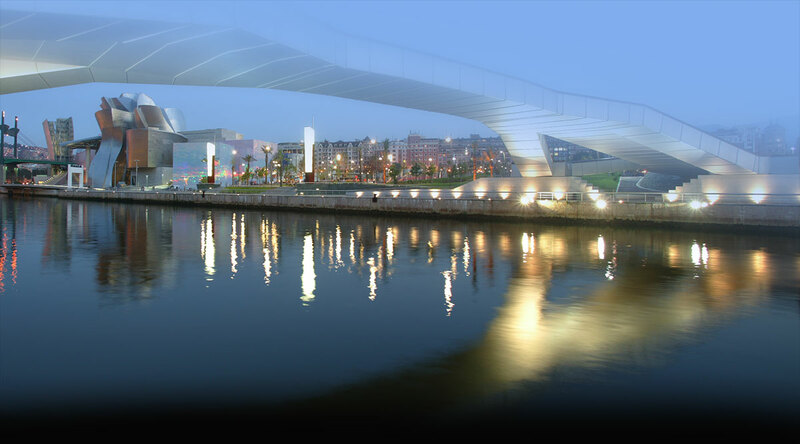 On a general basis, the details of Bizkaia:talent network users may therefore be disclosed to private entities interested in the requested profiles, to any third party through the website and to educational organizations in connection with the management of programmes arranged or agreed with those institutions and to EU organizations dealing with financial aids and subsidies granted and managed by Bizkaia:talent. The professional details of the contact persons from companies and various private or public educational institutions shall be processed by bizkaia:talent so as to manage applicants’ profiles and diverse programmes and events within the corporate purpose of Bizkaia:talent. In this context, even in the case of personal details of a professional kind, contact persons from companies and educational institutions give their consent for Bizkaia:talent to disclose data to third party individuals so as to manage the applications for jobs offered by the companies and the programmes and events arranged or agreed with the educational institutions. Within the framework of the aforementioned activities, Bizkaia:talent shall hold events aimed at meeting, dissemination and networking between applicants, persons interested in and selected for aid and talent management programmes where there shall be documentation and communication campaigns through photographs, multimedia, video and audio, etc. which may be posted in various social platforms, including social media such as facebook, twitter, etc, including Bizkaia:talent’s website. The personal details of the applicants and their curriculum vitae available to companies and professionals representing companies cannot be disclosed or transferred to any third parties without the consent of the interested person in accordance with what is established in the regulations in force on data protection. Website registration details may be used as a means of identification and authentication through the mobile app of Bizkaia:talent. The user can thus access the same services, programmes and news provided by Bizkaia:talent through their website. The date and time when the user last visited our website. Security elements which intervene in restricted areas access control. Users may avoid cookie generation by selecting the appropriate option in their browser. Nevertheless, the company shall not assume any responsibility if their being disabled prevents the good operation of the site. The use of this website is governed by the Spanish law, irrespective of the legal setting of the user. Any dispute which may arise in the interpretation of these terms will be resolved in the courts corresponding to bizkaia:talent’s place of business. If you provide your email address, it will be understood that you are giving your consent for it to be used to send communications related to the services rendered by bizkaia:talent.